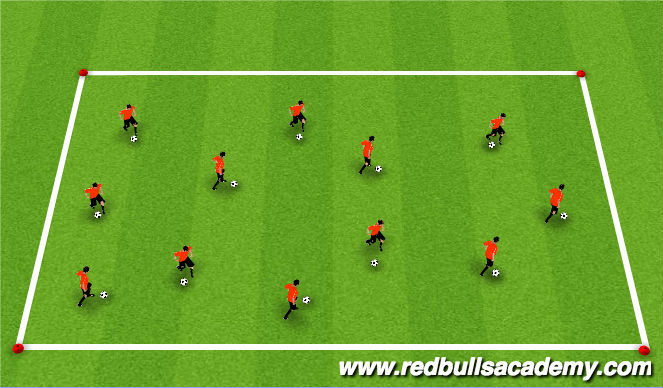 - Players will be working on Ball Mastery. - Players will work on Shooting. - Observe the postion Goalkeeper. 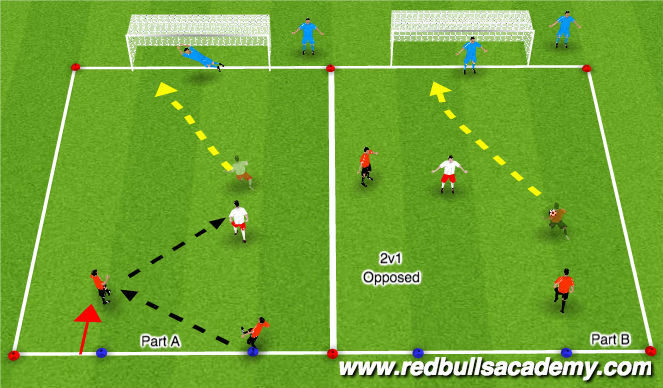 - Players will work on finishing. 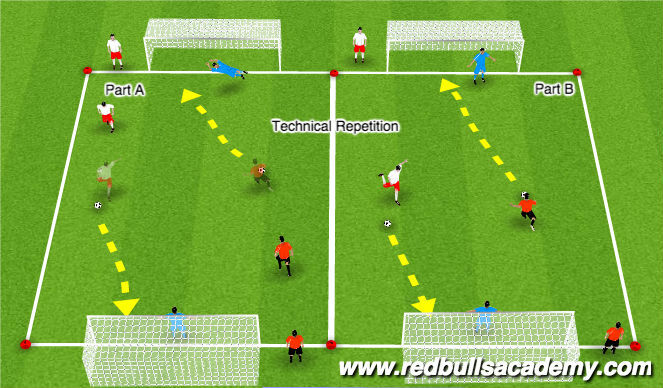 - Players will be involve in a opposed finishing enviroment. - Player will be in a 2 v 2 + 1 environment. - Team to 5 goals wins.